French There are 7 products. Box - Plastic. 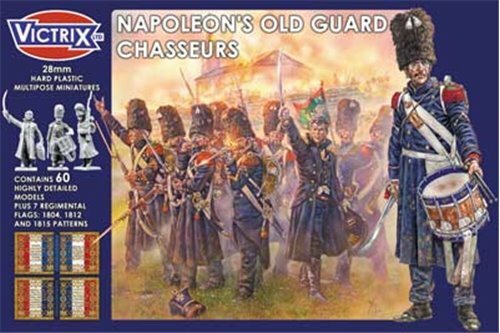 The Chasseurs are our second set of Napoleon's Old Guard and completes the infantry for Napoleon's old 'Grumblers'! You can now truly represent the Guard massed columns advancing to break the British at Waterloo. The set contains 60 figures, also included are 7 regimental flags, representing flags of the 1804,1812 and 1815 issue. Box - Plastic. 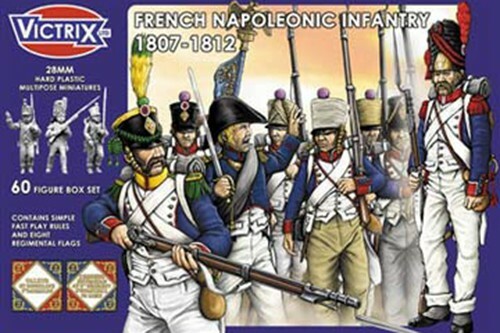 This 60 figure set features heads in shakos and new grenadier heads. We have also included porte fanion arms. Box - Plastic. 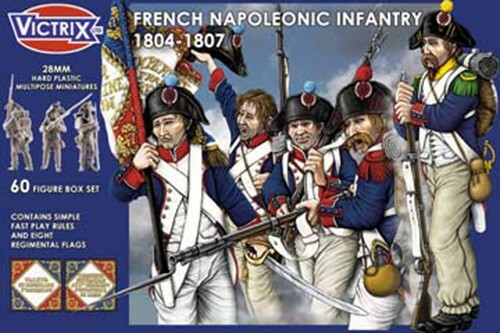 This 60 figure set features heads in bicornes and new grenadier heads. We have also included porte fanion arms. Box - Plastic. The set contains 60 figures. Positions included in the set are: 4 officers, 4 standard bearers, 4 drummers, 16 firing line, firing, priming and loading, 16 march attack with arms fully attached, 16 either march attack or advancing at porte/charge. 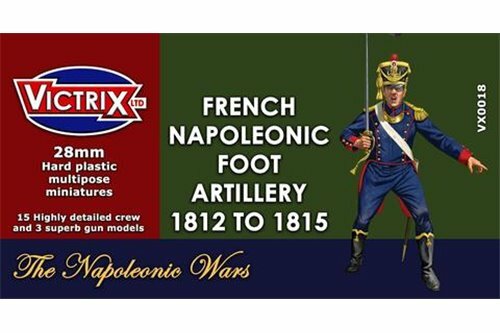 This superb set of miniatures represents French foot artillery from 1804 to 1812. The set contains: A choice of 8pdr or 12 pdr guns for the Gribeauval system. 15 highly detail crew figures with a choice of bicornes to represent artillery from 1804 to 1806 or covered and uncovered shakos for line artillery from 1806 to 1812. 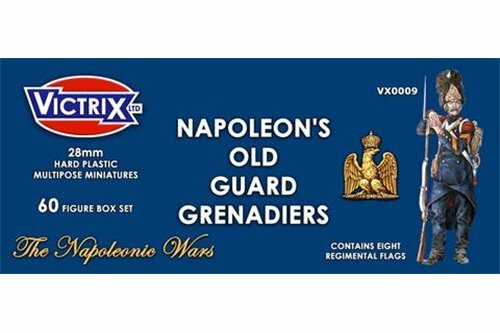 28mm Napoleonic French Artillery 1812 to 1815. The set contains 3 guns based on the XI system with options for 6 pounder or howitzer barrels. The set contains 15 crew with multiple arm options including shoulder straps and fringed epaulettes (These are to represent master gunners). There are also many head options with uncovered and covered shakos.